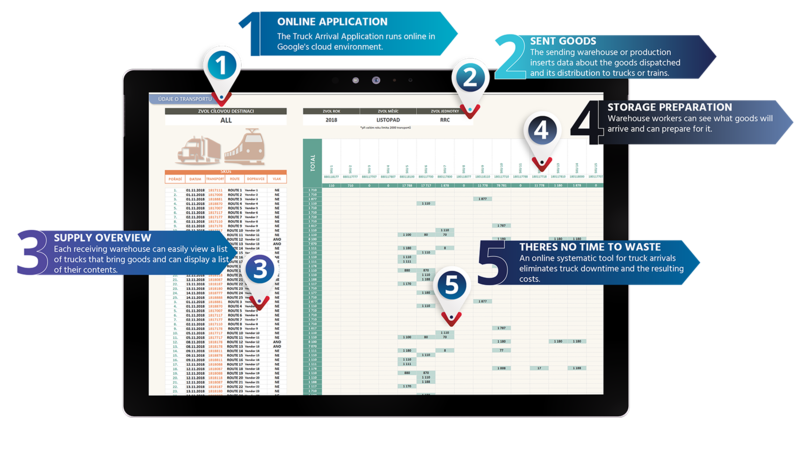 The online Goods Arrivals Advice application enables distribution warehouses to track arrival times of trucks coming from plants. It also provides an overview of SKUs loaded on a particular truck. It saves time by eliminating e-mail or telephone communications and also money by eliminating idle time. It is a very inexpensive solution that works completely free of charge after its initial setting. The application makes operations easier for both the plant that dispatches the goods and the distribution warehouses. Displaying all information about an incoming truck is a matter of few clicks. There is no need to log into internal database systems. The client for whom we’ve developed the app also uses third-party warehousee. Their staff does not have access to client´s internal systems. The application does not have to be limited to trucks. Specifically for the above-mentioned client it also tracks railway carriages and their contents. It is an online app in the cloud environment on Google. It is accessible only to users who are granted access rights, whether they are employees of the plant or the distribution warehouse. The rights are assigned by the appointed administrator according to company’s needs. A designated dispatcher in the plant uploads automatically generated data about the dispatched goods on specific days and times into the service part of the application. The application then automatically processes the data. All users who log in to the app see an overview of scheduled trucks for the warehouse they select in settings. They can either take a look at a specific truck, or an overview of the transported SKUs. According to the information obtained they prepare for unloading of the truck or a train. Everything is clearly visible on one sheet, despite the large amount of data being processed. The application is completely flexible and ready to process additional data if needed. Thanks to the cloud solution, it is hardware-friendly and requires only a connection to Internet. The Goods Arrivals Advice application can be customised to meet the needs of any client. We have developed hundreds of practical solutions for our client´s logistics and warehousing operations. 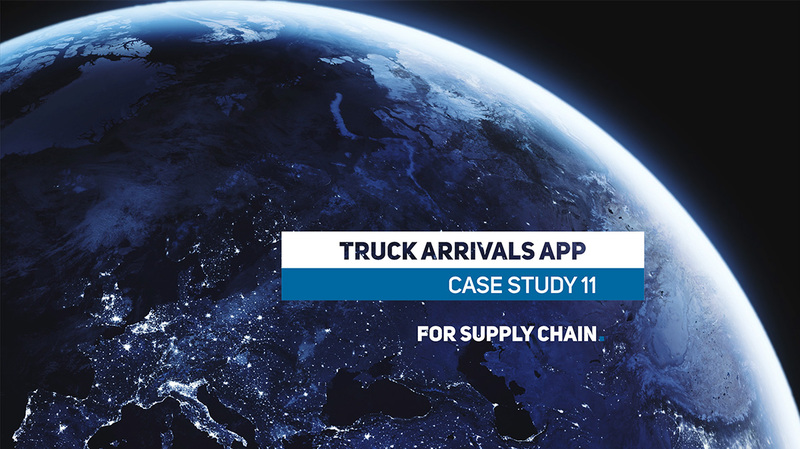 We can name for example the Online Application for Truck Loadings Management or Day-to-Day KPI Summary in Logistics.